2016 Summer Intern Zine - Coming soon! "[I would recommend this internship] because the VC community encourages that all VC members learn and grow through their own goals and values. The opportunity to internship with VC is well worth with the amount of support you will receive from the staff and community." "The staff here at VC is so welcoming. They are all here to do meaningful, amazing work together and it really shows...The interns at VC were all passionate about supporting the Asian Pacific American community, and it was really fun to work with a like-minded (but diverse) cohort. VC is more like family than a workplace. I’m so honored I got to be a part of [the team]." 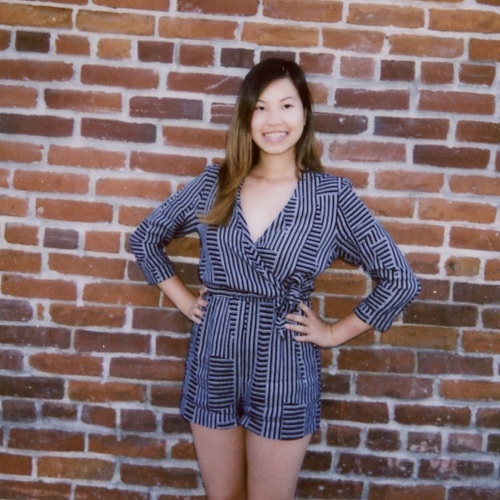 "I hoped that through interning at VC, I could better understand what's going on with media representation of AAPI and meet the change makers in our community." "I needed a community of people to reinforce [the power of AAPI independent filmmaking] and help me make strides as a filmmaker of color. It was beyond a workplace, it was a second home." "Working at VC this summer was one of the best decisions I've ever made. I had a sense of purpose that I had been looking for. Being able to do something that I wholeheartedly believe in was really empowering. I was able to learn more about my community as well as have fun in the process. Visual Communications was founded on the need to create a space for Asian American Pacific Islander voices in media, and it continues to carry out that mission with everything it does. If that's what you want to be a part of...then I definitely recommend [interning at VC]."